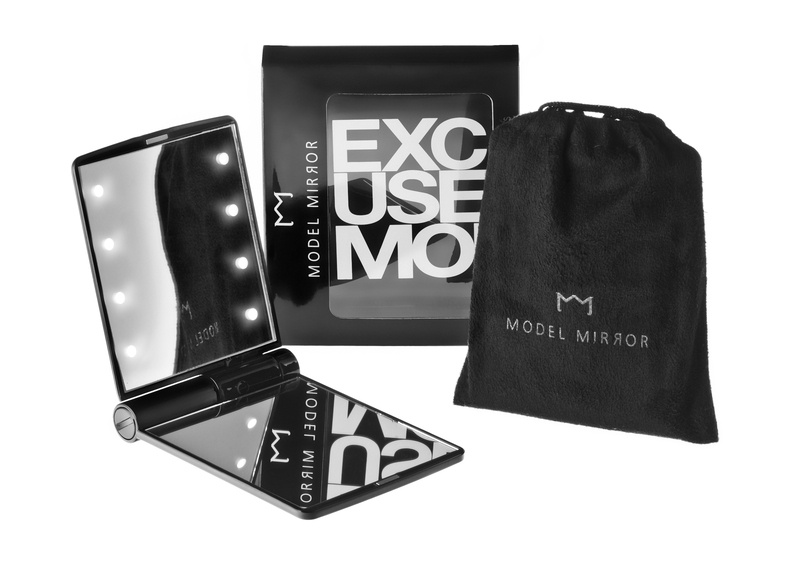 This is a mirror compact with a difference, first of all it has a seriously luxe feel…smooth opening, great size mirrors (one of which is 2x magnifying) and cute little chamois drawstring carry bag/polishing cloth. What makes this extra special though, are the eight little Hollywood style lights that illuminate at the touch of a button! I’ve tested this in a completely unlit room and these babies don’t mess around…proper order you can see everything! Absolutely perfect when you’re out and about and don’t want to have to nip to the bathroom every time you want to check your make up or reapply your lipgloss. If I didn’t already have one, this would be top of my own Christmas wishlist….but I know I’ll definitely be gifting a few of these this festive season. 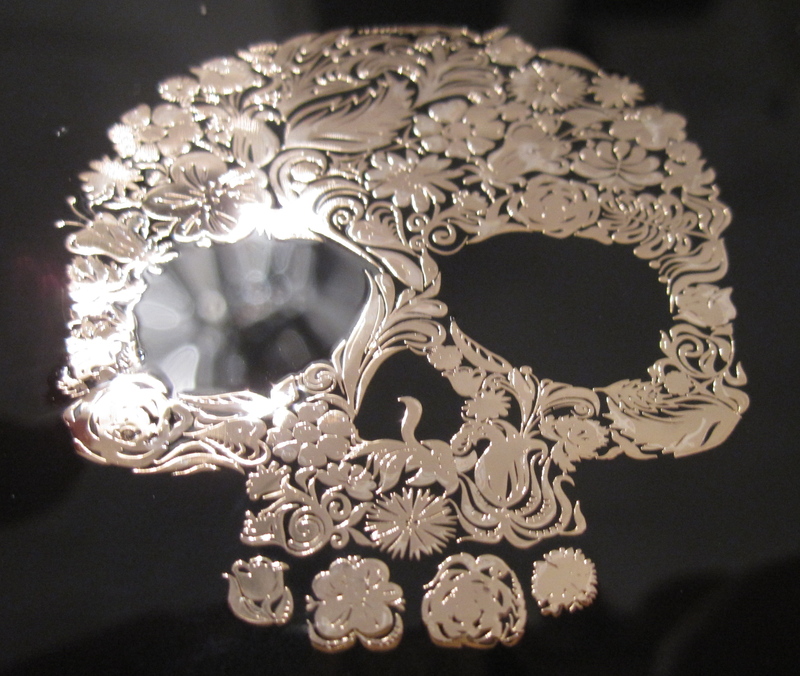 Other designs include cobra skin, the ‘Excuse Moi’ style featured above and a red lipstick kiss. 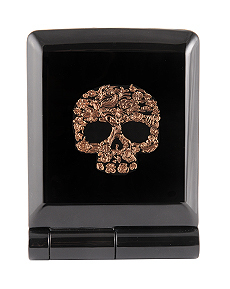 Priced at €26 (or €28 for the Hippy Skull), available at McCauley pharmacies, Chica Boutique and online at thestyleloft.ie. 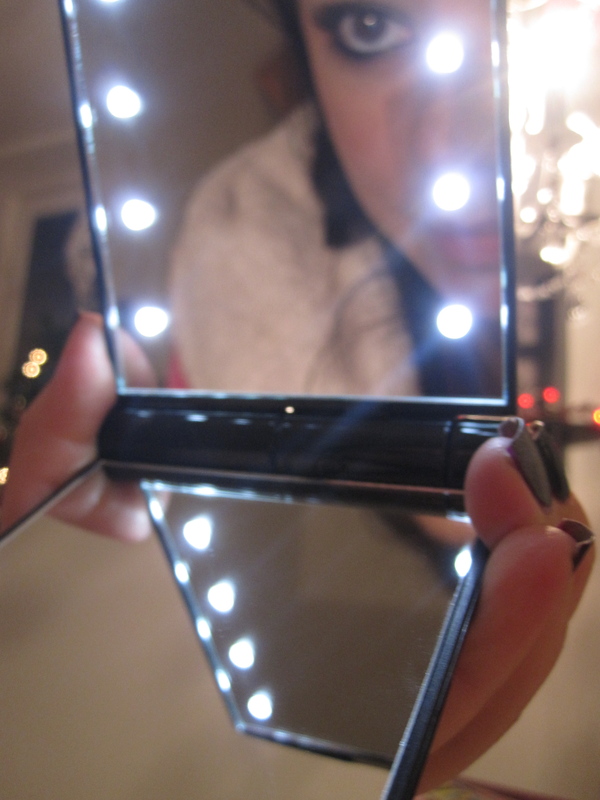 Will the Model Mirror be filling your stocking this Christmas?